PHYSICIAN'S CHOICE HOMECARE established in 2004, is a full service home health care agency licensed by the Texas Department of Aging and Disability Services. Our primary goal is to create a personal home experience with quality care and respect. We provide not only quality nursing, but outstanding ancillary services. Our staff are carefully selected to assure that we employ the most compassionate, experienced and professional staff in the state of Texas. The staff at Physician's Choice Homecare is highly experienced, compassionate, professional, and provide care in a home environment. 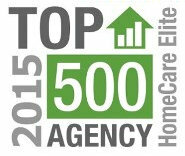 AGENCIES WERE SELECTED BY "DECISION HEALTH" BASED ON SUPERIOR PERFORMANCE, FINANCIAL STABILITY AND OUTCOMES AS REPORTED ON CMS'S HOME HEALTH COMPARE AND CUSTOMER SATISFACTION.